Heating your home is an expensive undertaking if you rely on old boilers and central heating systems. To improve efficiency, you need your heating system installed correctly, serviced and repaired in good time. When you call on Eco Efficient Nottingham, we help you to save energy and your pound too. We are the leading industry experts who can rev up your old system and help you to install an ideal system from scratch. Don’t waste time and money going through the inconvenience caused by inefficient systems. Call us we discuss a cost-effective way forward. Eco Efficient Nottingham is your first point of call when you want emergency repairs and service for your heating system. We send an expert to your address in the shortest time. They will notify you they are on the way and they won’t take more than 30 minutes. We are second to none owing to our commitment to customer satisfaction. We don’t offer random solutions, but we take time to preview your situation and guide you on the best heating system or repair option to choose. Our callout services are free, and our service quotes are upfront. At Eco Efficient Nottingham, we upgrade time trodden heating systems, but we don’t do it in a rush. Call us, and we will design a system that is adequate for your residential and commercial premises. Our services are available in Bingham, Hucknall, West Bridgford, Beeston and Carlton. We work with gas safe certified technicians whose expertise spans 15 years of handling all manner of boiler service tasks. We respect your premises, provide fast turnaround and leave your home cleaner than we found it. Although we are accredited to handle all boiler system brands, we don’t force you to go for a specific brand. Ours is to guide you and help you pick a money saving option. Talk to us and enjoy 24 hours of fast and friendly service. For your boiler system to outlive its lifespan, you can’t afford to cut corners. With time, your boiler gets sludge, or your pipes become corroded. We offer superior boiler servicing expertise to keep you enjoying top-level efficiency. Whether you want power flushing or component check-up, we can provide that without disrupting your home. We have trained experts who have been servicing all models for over ten years. We don’t give a blind eye to looming glitches, and we don’t bill you for non-existent services. At Eco Efficient Nottingham, we are top on the list of service firms that offer repairs. 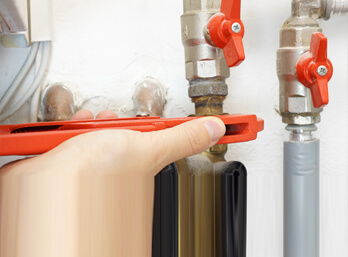 Upon request, we provide a full boiler repairs service to customers. Our knowledge and capacity lets us offer high-quality craftsmanship for boiler components, leaks, inefficient radiators, or low pressure. We know how to spot, diagnose and fix system errors once and for all. Our competitive pricing makes us the best company you can call, if you have emergency repairs or planned mending. We only use original parts, and we offer warranties as well. Finding a suitable boiler for your premise isn’t easy. When you call us, we don’t rush to upsell any model just to make money. We are ready to discuss a befitting model that will help you shave pounds off your energy bills. Our call outs for installation are free, and we rely on gas safe verified experts to install your boiler while observing the highest standards. Improper installation can cost more in the long run, but we have a solution. We are honest about installation quotes, and you never get surprise expenses. Carbon monoxide and water leaks can cost a fortune to fix. You cannot handle such leaks since you may end up hurt and pose risk to your loved ones. If there are leaks in the gas system, you need to call us fast to prevent fires or fatalities. Water damage can turn into a disaster that will cost you more to fix it. If you call Eco Efficient Nottingham, you can have peace of mind knowing that we can restore your boiler system leaks. We have the technology and skill to detect leaks while our competitors rely on guesswork. Call us now, and we will marshal your systems efficiency. 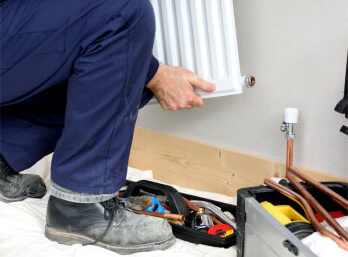 Your central heating system installation can make or break your quest for a comfortable home. Don’t let incompetent service firms dupe you into installing your system. We can guide you on the best heating system for your premises. What’s more, we don’t charge for callouts or consultations. 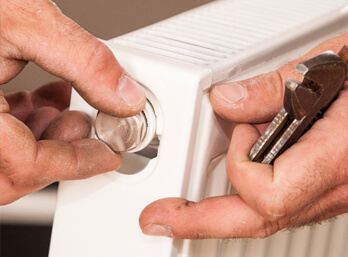 Our experts rely on experience honed over ten years of installing conventional and modern central heating systems and components. With us, you simply can’t go wrong. With an efficient heating system, you need assurances that you won’t be running around blind if problems arise. Come to Eco Efficient Nottingham and get quick repairs. We don’t want you to suffer in the cold. We will send a seasoned repair unit within an hour. Get in touch if you want central heating repairs, and we will never disappoint.